We believe in the power of digital marketing to accelerate brand’s ahead of the competition. Through clean web design, and a complete and proven digital marketing strategy, we aim to provide our clients with the essentials to a powerful and dominant online presence. Like a boat’s wake continuing through the water, our services extend far beyond just building a site. We take the time to adequately establish brands in the digital realm with the necessary tools to drive traffic and sales to their company. Austin Damon is a marketing guru with years of experience in helping small businesses develop lasting local marketing strategies. 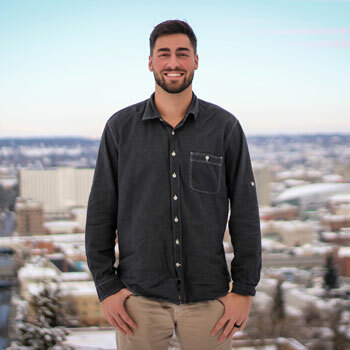 With an education in Marketing and a passion for people and self-development, Austin always stays ahead of the curve in all things marketing.